Recent articles have introduced the novel concept of chemical lipolysis through local injections. Phosphatidylcholine is the active drug in the commercial preparation used for this purpose,but some studies have suggested that sodium deoxycholate, an excipient of the preparation, could be the real active substance. AIM We decided to investigate whether phosphatidylcholine and sodium deoxycholate have any clinical efficacy in chemical lipolysis and their respective roles. We also studied the safety and side effects of the treatments. deoxycholate–treated sides are in the order of 6.46% metrically and 36.87% ultrasonographically, whereas on the deoxycholate-treated sides they are in the order of 6.77% metrically and 36.06% ultrasonographically. could be sufficient by itself to determine fat cell destruction and that phosphatidylcholine could be useful for obtaining a later emulsification of the fat. in the PPC formulation that would act as a detergent on fat cell membranes. This was indeed an in vitro study and its conclusions are not completely transferable to in vivo human patients. Further studies have also shown the efficacy of DEOX10 and PPC/DEOX11 in reducing the size of subcutaneous lipomas with intralesional injections of the drugs. We decided therefore to investigate whether DEOX could be considered an active drug able to induce a chemical lipolysis and to study the possible activities of DEOX and PPC on fat cell lysis. The safety profile of both substances was also studied. exclusion were failure to follow the study protocol, concomitant diseases during the study, important adverse events, and weight gain or weight loss of more than 2 kg during the study. Each patient signed an informed consent to undergo a clinical trial with drugs used in off-label indication, according to the Declaration of Helsinki. The study protocol was approved by our institutional review board. The treatment sides and their respective drugs were randomized by computer. Each patient underwent a 7.5-MHz ultrasonographic evaluation (CGR Scanel 300, Villenoy-Meaux, France) before treatment to rule out subcutaneous fatty tissue thickness.PPC/DEOX (Lipostabil, Natterman) and DEOX (Laboratorio Pineda, Sao Paulo, Brazil) were the active pharmacologic substances investigated. The PPC/DEOX preparation has a composition of 250/125 mg per vial (50–25 mg/mL in 5-mL vials). The DEOX preparation has a composition of 237.5 mg per vial (47.5 mg/mL in 5-mL vials). To have comparable deoxycholate values, the dosing of the treatment was set to 1,000/500mg for the PPC/DEOX compound (four 5-mL vials) and 475mg (two 5-mL vials) for the DEOX formulation, according to the known safety limits (15 mg/kg) of the PPC/DEOX formulation.12,13 Both formulations were diluted in saline to have 40mL of solution per infiltration side. Each patient received bilateral subcutaneous injections n the gluteotrocanteric region with PPC/ DEOX on one side and DEOX on the contralateral side, each single patient being herself the control. The level of subcutaneous injections was approximately10 mm. Twenty-seven-gauge needles(0.413 mm; BD Microlance-3, Becton Dickinson, Franklin Lakes, NH) were used. Each point of injection received about 0.5mL of the pharmacological solution with an angle of injection to the plane of the skin of about 751 to 901 (almost perpendicular). According to previous literature, the area of treatment was strictly limited to 80 cm2 per side, with a mean number of 80 infiltrations per side, spaced approximately 1 cm apart.5,7 Because previous research had shown a resolution time of approximately 8 weeks for the postinfiltrative nodular reaction,14,15 four sessions of treatment were programmed, once every 8 weeks in a double-blind, randomized fashion, with a final evaluation 8 weeks after the last treatment. Our clinical evaluations included a circumferential metric measurement of the thighs at the level of the subgluteal fold, an ultrasonographic measurement at the level of the trocanteric fat pad, from skin to muscle fascia, and a photographic evaluation on a metric panel whose vertical lines were spaced 5 cm apart. Owing to the impossibility of getting exact measures with a photographic evaluation, this was intended for 5% (approx. 2.5 cm) figure variations. All subjective and objective signs and symptoms following each treatment session were recorded. A specific issue was devoted to the evaluation of pain in the area of treatment, with the help of a 0 (no pain at all) to 10 (intolerable pain) grading scale, that each single patient was asked to judge. No blood testing was carried out. All these evaluations were performed at every step of the study and 8 weeks after the last treatment for a final judgment. A statistical evaluation concluded our study. Thirty-seven of 40 patients completed the study, 2 patients were excluded for excess weight loss during the study, and 1 patient was lost to follow up. Three patients of 37 (8.1%) had no improvement at all and can be considered nonresponders. Thirty-four patients of 37 (91.9%) had some improvement. At the end of the study the majority (30) of patients had become slimmer. For the whole study group, the mean weight reduction was of 1.44% (58.53– 57.69 kg), with a mean body mass index value reduction of 1.3% (21.49–21.21 kg). The efficacy of treatments was evaluated in terms of overall reduction of thigh circumferences (metric measure) and subcutaneous thickness (ultrasound measure). An overall reduction of local fat was clinically obtained in 34 patients without statistically significant differences between the treated sides. The mean circumferential metric value changed from 58.48 to 54.70 cm, with a 6.46% reduction on the PPC/DEOX-treated side, and from 58.67 to 54.70 cm, with a 6.77% reduction on the DEOX-treated side (Figure 1). The ultrasound measures of the fat layer revealed much higher reduction values, again with no statistical difference. The mean ultrasonographic value changed from 36.13 to 22.81mm on the PPC/ DEOX-treated side, with a 36.87% reduction, and from 36.11 to 23mm on the DEOX-treated side, with a 36.06% reduction (Figure 2). The photographic evaluation resulted in an average 5% reduction as measured on a metric panel (Figure 3). on the PPC/DEOX-treated side and 4.92% circumferentially (57–54.2 cm), 32.77% ultrasonographically (35.1–23.6 mm), and 5% photographically on the DEOX-treated side. Side effects of treatments are detailed in Table 1. 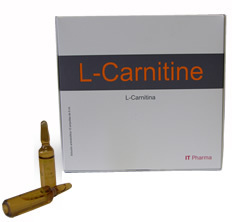 >BURN inches of FAT with Lipostabil (phosphatidylcholine) for only $5.50 per amp?! >Yes, that is true. We have 5% and 10% phosphatidylcholine with deoxycholate! Lipo-dissolve injections have become an increasingly popular means to remove excess fat. The procedure goes by many names (e.g., Lipostabil®, Lipodissolve, Flab-Jab, Lipojection, Lipotherapy, etc.) and involves the injection of mixtures of various chemicals into the fat through multiple microinjections administered over multiple treatment sessions. The desired end result is the gradual removal of localized fat deposits. Lipo-dissolve injections are generally not regarded by medical professionals to be as potent as liposuction, a powerful yet invasive surgical procedure in which multiple liters of fat are ‘sucked’ from patients in a single session. Lipo-dissolve therapy typically requires that dozens of small ‘fat burning’ injections of compounded phosphatidylcholine/deoxycholate (PCDC) be injected into fat and connective tissue over several sessions. 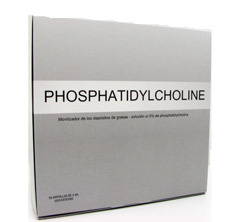 The main compound used in lipo-dissolve is phosphatidylcholine (PC), a compound derived from soy that is a component of cell membranes in many organisms, including humans.1 Deoxycholate (DC), a naturally occurring bile salt produced by the liver, is also used in the formulation to solubilize phosphatidylcholine, thus keeping it in solution.1 Together, the main ingredients are commonly abbreviated as PCDC, however without a specific FDA-approved formulation for the injected solution, the ratio of the two compounds in a given formulation may be substantially different depending on the provider. Some providers also add small amounts of other medications, vitamins, and herbs.